Hong Kong SAR – IOM, the UN Migration Agency, in partnership with Justice Centre Hong Kong, today (11/04) hosted a workshop to help private sector companies understand how they can work better with civil society and IOM to meet internationally recognized human rights standards, particularly relating to labour exploitation, including modern day slavery and human trafficking. 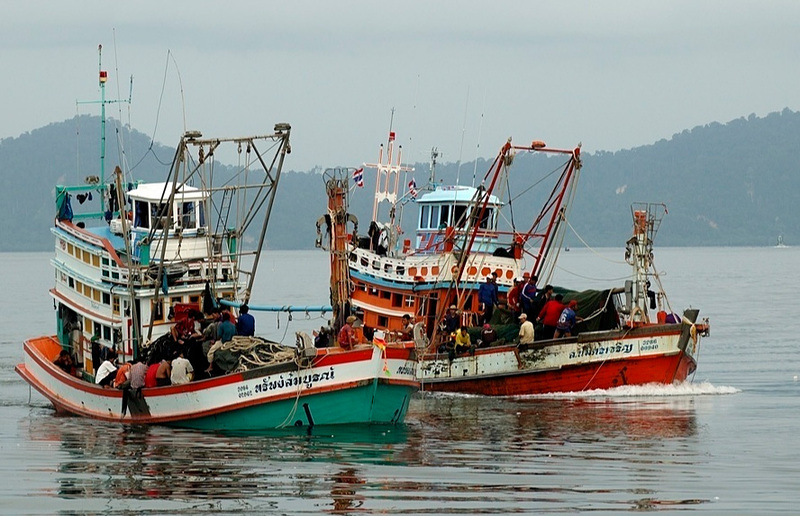 Evidence of forced labour has repeatedly surfaced in the Thai fishing industry – a major supplier of seafood to world markets. Photo: Thierry Falise / IOM.